We actually had an important “event” on our blog this week, which was the guest post by Dr Frazer Bye on how to register a trademark. I have been considering including some guest posts for a while now, so that I can get experts to share their knowledge with all of you! So if you have any feedback on that article, please feel free to either post in the comments section or send it to me directly, as I’d love to hear your thoughts. Today of course is Friday, which means time for another Q&A session. This is the 49th post in this series and I am super excited to reach the big 50 next week! How to deal with a miscalculated shipping fee in sold listings? How to increase selling limits on a brand new eBay account? Do you need a sales agreement to order product samples from China? Do you need a courier account to order products from China? What’s the correct way of calculating ROI on eBay? How to compete with Chinese sellers on eBay in 2016? I got ahead of myself and listed a bunch of items before I fine-tuned my settings and there are 4 items that are now sold and paid for which I need to ship, BUT the postage is going to cost me more than I thought. How do I add other shipping services to a sale that’s completed and paid for and now awaiting shipment? I only specified shipping via USPS but I can definitely find a better deal, so please give me step by step instructions on how to fix this. I’m afraid there’s no way to fix this or add shipping methods AFTER the sale has been already made. You could of course contact your customers and explain to them that you have made a mistake with the shipping costs and ask for additional payment BUT this will most likely lead to negative feedback, something you definitely don’t want. So you should simply ship these 4 items out at your own cost, and take a hit on these sales. Just make sure you learn from this mistake when creating your next listings. We have a Japanese business selling mailboxes and other products related to household / outdoor items. In total there are ten items that we want to start listing on eBay, but it might be better to start with 5 and gradually increase to 10 as the unit price is fairly high, at 200-300 USD. Now we have an eBay account and a PayPal account but we’re only able to list 1-2 items at the moment. Is there any way that we can start listing more than that right away? Please let me know if there are any suitable options for us. If it’s a brand new eBay account with little to no sales history, eBay will place various limits on it – like how many items you can sell/list per month, total sales of those items etc. 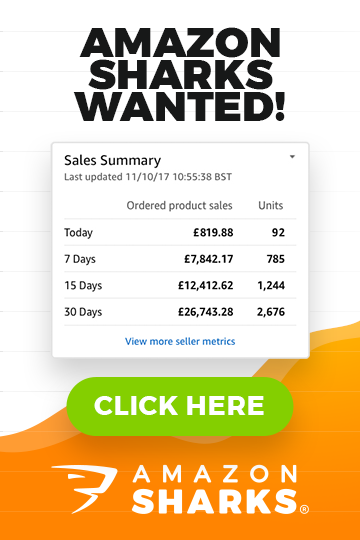 What you need to do is sell the maximum amount of items for one month and get those crucial first feedbacks in, and then ask eBay to increase your selling limits. First off, thank you for this blog! The information that has been posted is so helpful and I am really pleased with the wealth of knowledge that you share. After reading your articles about how to make sure you’re not scammed by a supplier, I am in the process of ordering samples from a company on Alibaba, but I have a question: do I need to send out a sales agreement to them, just to ensure I don’t get burned? My main concern is I don’t want to pay for the products and then not have anything sent to me. Or is it a better idea to send them a sales agreement after I place an order with the suppler? I already have some free sales agreement templates ready, but my question is whether or not they are needed? My second question is about shipping through a courier: do I need to set up my own account with the courier that my supplier is using to send me the samples? I have asked a few suppliers if they offer samples, and most have said yes. One of them gave me the price and how much the product would cost plus shipping. I am looking at ordering five pieces of jewelry, at 10 USD each (the sample price is the same as if I was ordering normally). They said they would post it via courier, DHL to be specific, and the shipping costs 22 USD, meaning that I’ll be paying 72 USD in total. But as I am paying by PayPal there is also an extra 3% charge, according to my supplier. Any suggestions on this all would be great. For sample orders you really don’t need to have any special, written agreement in place, especially if you’re paying via PayPal. There’s a very, very small chance that a supplier will scam you during the samples process when you have followed my guides and have found a good, reliable company. Even if it was a scammer, they would most likely still send out samples first and then try to scam you when you place your real, big order (I’m not saying that will happen of course, just speaking hypothetically). So when you’re ordering samples, don’t worry about such agreements. When it’s time to place your first real order, the best way to pay would be via Alibaba Trade Assurance as this in effect acts as a contract between you and the supplier and protects your payment in case the supplier doesn’t deliver. Anything outside that – like a written/signed contract between you and manufacturer – is basically a waste of time as if they’re going to scam you, this contract won’t protect you in any way (good luck when trying to go to the police with that contract to get your money back – it won’t happen). As for couriers – you don’t need to open an account with a courier for these shipments from China. Just ask the supplier to organise shipping and add the cost to your invoice. Just like in the example you gave – $22 for a fast courier shipment from China is very reasonable and you WON’T get a better price if you deal with couriers on your own. I see you talk a lot about ROI, which is something I often look at and think about when searching for new products to sell. One thing that always gets me is whether I should be looking at the short game or long game as I often disregard products when I calculate the ROI and it’s around 5% as that means if I pay £10 for an item, I’m only going to make 50p profit once the postage and fees etc. have been taken. I think to myself that’s nothing and move on to look for more lucrative products. My question is should I be looking at the long game and looking at what that return would be over the course of a year instead? So if I calculated how many sales per year and worked out what my ROI would be at the end of the year and base my decision on that? I’m really concerned that I’m throwing away good ideas that probably could have been decent earners and I’m just trying to find the big fish too quickly? No, you’re doing it the right way. Well, there’s obviously no ONE right way of doing this but I personally always look at ROI on a per product basis. In your example, 5% on a £10 item (profit of 50p) really is too low. For an item selling for £10 you should achieve a profit of £2-£3 per unit sold, to maximise your investment. 50p profit is okay for super cheap items, in the £2-£3 range, where you can sell tons of them every day. But really 5% is just way too low a margin to build a sustainable business on. With margins like that you have absolutely no room for errors and a few faulty items or returns would completely derail your business. First of all, thank you for your great help and amazing posts. I´ve just reached TRS following your business model and making good use of your tips. However, after reading your article on AliExpress’ partnership with Royal Mail, I´m a bit concerned about the whole business situation. It was already a challenge to compete with Chinese sellers, and after this news, do you think there is still any hope for starters like me to be a successful seller following the usual business model of importing from China (contacting Alibaba, getting the items shipped to the UK and reselling them)? With people having to wait just two weeks for their deliveries through AliExpress/Royal Mail, don´t you think they would prefer to order it directly from China than from the UK? How do we compete with Chinese sellers? Previously, we had the chance of offering buyers quick delivery times, however, with this new partnership, this is not an issue anymore, as sellers can order directly from China and get their items much cheaper than in the UK. I just wanted to hear the opinion of an expert before doing my first big order from China. As my purchasing power is limited, I don’t want to lose my investment on the first try. I would highly appreciate any advice you have on this topic. While this isn’t great news for us, it won’t be that damaging. 2 weeks is still a very LONG delivery time, for many people it’s way too much. Nowadays most buyers in the UK expect 1-2 day delivery when shopping online so quick shipping is still our biggest advantage. And then of course there’s the quality/trust factor which you can leverage and play on. It also depends a lot on what kind of goods are involved – if it’s a very simple, very cheap item and the customer is okay with longer delivery times, then obviously Chinese sellers are in a much better position with their pricing. But for more expensive items, where quality is of the utmost importance, or items where great customer service is needed (electronics, clothing/footwear etc.) then Chinese sellers are still at a disadvantage. How to compete with Chinese sellers on eBay? This was the last week of “regular” blog posts. As we’re heading towards Christmas and the end of the year, it’s a good time to have some FUN! Next Monday I’ll publish our blog’s yearly readers’ contest where I will be giving away Amazon gift cards! So stay tuned for rules on how to enter this contest on Monday. AND we also have our last, (for this year) 50th Questions & Answers blog post coming up next Friday! There’s still time to send your questions in via the contact form on this page if you want to be featured in this historic milestone ;). Is there anyway to be automatically alerted (e.g via email / other) whenever you add a new Post or reply to a Comment on this Blog? 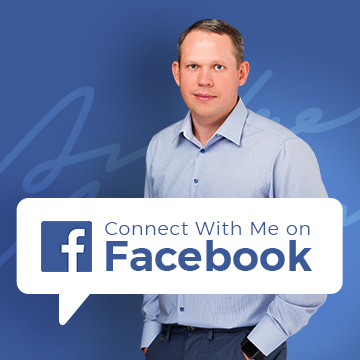 Not on comments, no but you can follow me on Facebook, Twitter, LinkedIn or Google+ and get notifications when you posts are being published. Links to my social profiles you’ll find in the header of the blog. Hi Andrew thanks for responding to my question about if it ‘s necessary to have a sales agreement to order product samples from China? I didn’t have to worry about not getting samples after all once I ordered the samples just got them yesterday, and planning on having to build a working relationship with the supplier cheers!